Top Photo: Race Director Coach Ani de Leon-Brown conducting the race briefing for Alaska Ironkids. 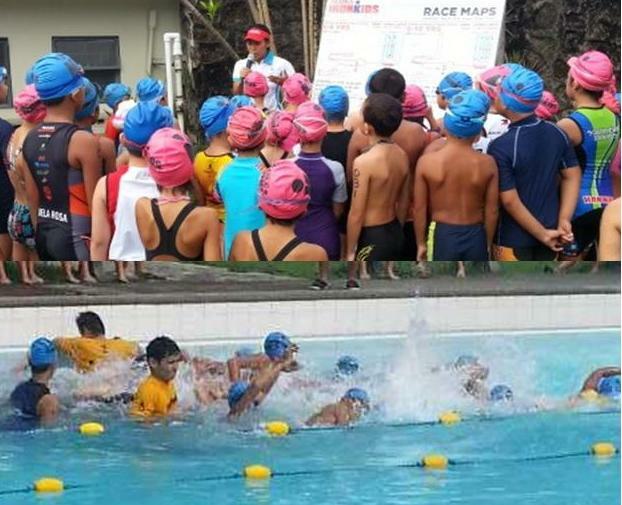 Bottom Photo: Ironkids during the swim leg of the race. May 19, 2013. Sunday. It may have been any other Sunday for most of us, but not for the 208 junior triathletes, aged 6 years to 14 years old, who trooped to the Ateneo de Manila Grade School for another edition of Alaska Ironkids Aquathlon. As early as six in the morning, the tri – kids were all prepped up and were already by the pool side waiting for the race briefing to start. Parents and their family friends filled the bleachers. The venue had a pumped up ambiance as the uptempo music emanated from the loud speakers. While waiting for the race to officially commence, I had the chance to go around the venue to check the transition area and have a little chat with some friends. Race marshals were deployed in the pool, at the transition and along the run course. An Alaska booth was put up in the venue where participants, their families and friends can enjoy the refreshing and nutritious Alaska Milk. SLRs, digital cameras, smart phones, iPads and tablets were practically all over the place just getting ready to take snaps of the junior tri in action. About half past 6, the emcee announced that the first wave is soon to start. The participants were called for a race briefing conducted by Coach Ani de Leon – Brown, who is multiawarded triathlete herself. At gunstart, the next gen triathletes behaved like pros as they plunged into the pool for the swim leg, as they put on their shoes at the transition area, and at the run leg sprinting towards the finish line. And even those as young as 6 years old showed promising attitude! There was so much hype going on as the race was progressing. Loud cheers mixed up with the sound system. While some joined the race for fun, others raced to win. From the swim leg, the participants took off their head caps and goggles while making their way to the transition. Once geared up, they took on the run course making a strong finish as they cross the finish line. The mid-morning sun did not stop the tri-kids from completing their respective race categories, and waiting for the awarding ceremony. While the mixed relay was going on, winners in the age group categories were being awarded. Top three winners in the age group category and mixed relay each received a medal, a signature teddy bear and a loot bag from Alaska. While all participants who finished the swim and run courses also received a finisher’s shirt and a finisher’s medal. 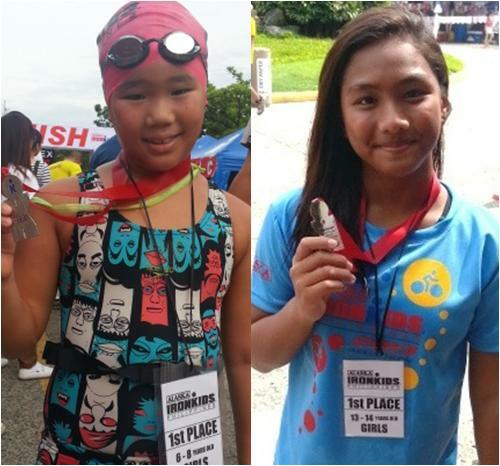 Julius Constantino and River Gail Salonga dominated the 13 to 14 years old age group; Bambam Manglicmot and Juris Tan placed first in 11 to 12 years old and 9 to 10 years old boys age group, while Samantha and Tara Borlain topped the girls division; Alexander Lamb and Athena Shanessa Chang placed first in the 6 to 8 years old age group. First Place Winners: Shanessa Chang (6-8yrs old) and River Gail Salonga (13-14 yrs old). Tara and Sam Borlain, First Place winners in 9-10yrs old and 11-12yrs old Age Group. 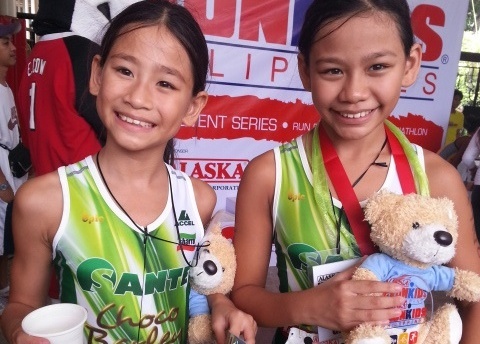 In the Relay category 6 to 10 years old group, Clear Sabak (Angelina Powell and Ysella Erquiaga) placed first, Team PLDT Tykes (Umi Abelarde and Joaquin Rivera) placed second, Juliana Alminares and Christian Dejuras bagged the third spot. Yellow Cab – Tri Clark Team A (Brent Valelo and Lans Donato) and Team B (Nathan Nalo and Jomai Santos) placed first and second, respectively; while Team Pangilinan (siblings Hannah and Benj) came out third. Team Pangilinan, was the youngest relay team to get a winning spot in the 11 to 14 year old category. Left Photo: Hanna and Benj joining the Mixed Relay Team. “It’s been a really good race,” remarked Coach Ani de Leon – Brown as the event wrapped up. 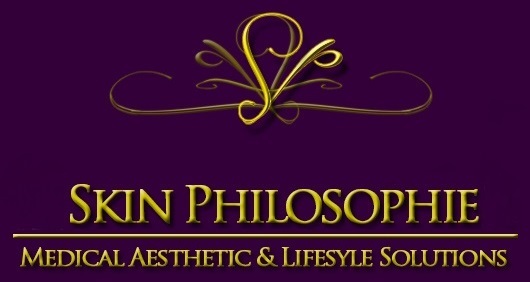 For results and updates, please visit www.ironkidsphil.com. 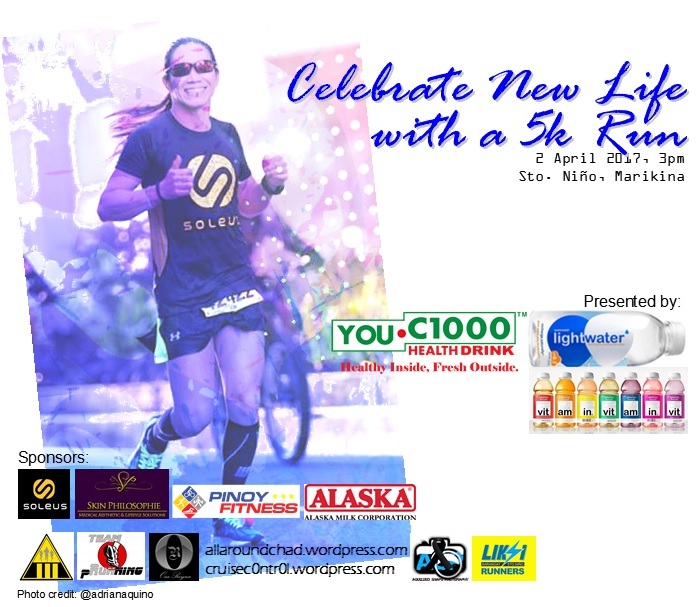 For information on Alaska Sports program, please visit www.alaskamilk.com.ph. Also, please follow us on Twitter @AlaskaSportshub.